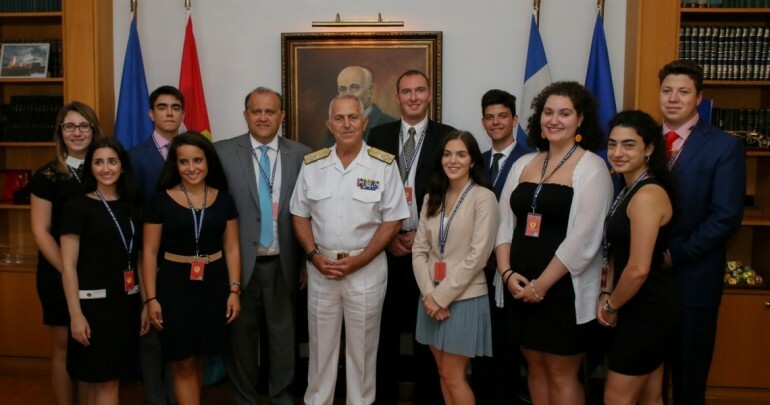 The 10th American Hellenic Institute Foundation (AHIF) College Student Foreign Policy Trip to Greece and Cyprus was concluded successfully on Friday, July 6. Greece was the last stop of the trip. 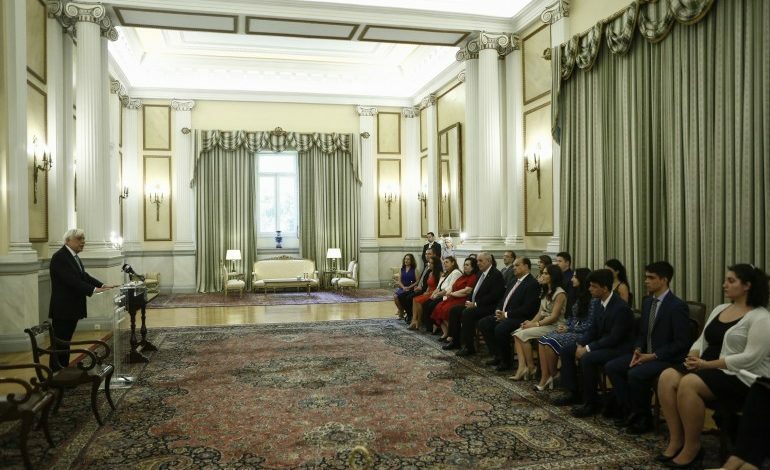 The delegation – accompanied by AHI President Nick Larigakis, met with the President of the Republic Prokopis Pavlopoulos, Tourism Minister Elena Kountoura, deputy Foreign Minister Terens Quick, Joint Chiefs chairman Admiral Apostolakis etc. 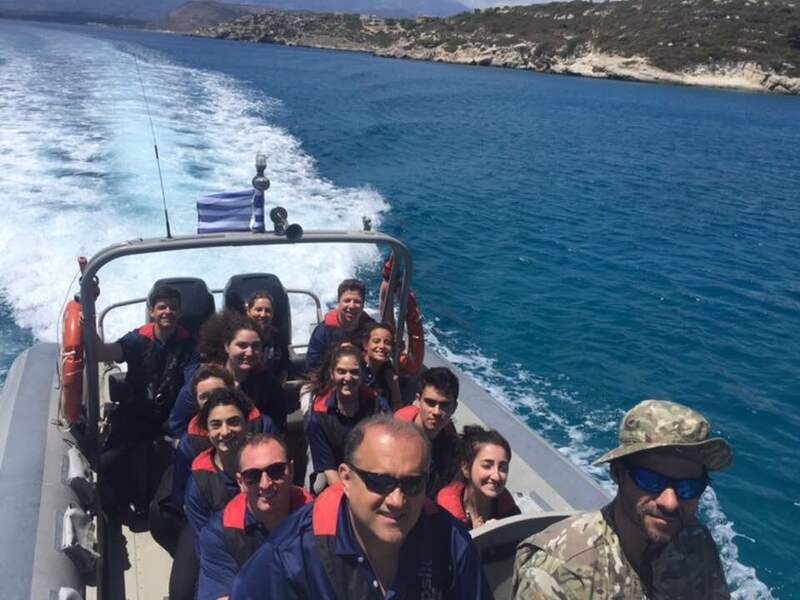 The students also took a day-trip to visit Naval Support Activity (NSA) Souda Bay, Crete, where they toured multiple defense installations, including NATO Missile Firing Installation (NAMFI), and they were briefed. The AHI is a non-profit public policy center working to strengthen ties between the United States and Greece and Cyprus. 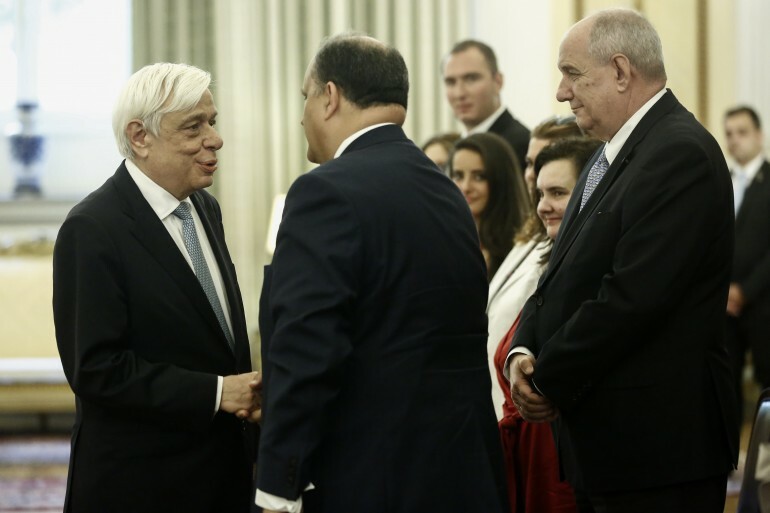 Greece is one of the most conscientious members of the European Union, and this is recognized by the bloc, Greek President Prokopios Pavlopoulos told Greek-American college students in a visit organized by the American Hellenic Institute (AHI) on Monday. The president outlined Greek national issues and “the sacrifices of the Greek people to remain in the EU and the Eurozone,” attributed to erroneous assessments by the country’s partners that should be recognized and addressed. Among other comments, the president took the opportunity to “thank all democratic political powers in Greece for their support” in ensuring Greece’s place in the EU. The group of students were accompanied by AHI president Nick Larigakis and Deputy Foreign Minister for the Diaspora Terens Quick. During the meeting with Greek Tourism Minister Elena Kountoura, she briefed the students on the results of the national tourism policy, which has led to a record performance since 2015. 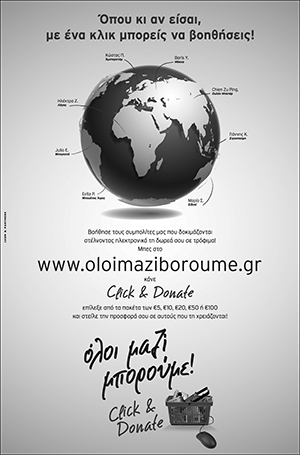 “Tourism has become a priority for the Greek government. It is a strong driving force for the national economy, also creating multiple benefits for other productive sectors and local communities,” Kountoura said. The Minister also referred to the program of the Greek National Tourism Organization (GNTO) for Greece’s promotion abroad, and asked the students to share GNTO’s latest video – starring NBA basketball superstar Giannis Antetokounmpo – on social media. The students expressed their interest on Greece’s tourism promotion; the strong momentum of travel from the US to Greece; the dynamic development of sea tourism and cruise travel; the role of tourism in protecting the environment and promoting sustainable development with an emphasis on the development of new tourism destinations. 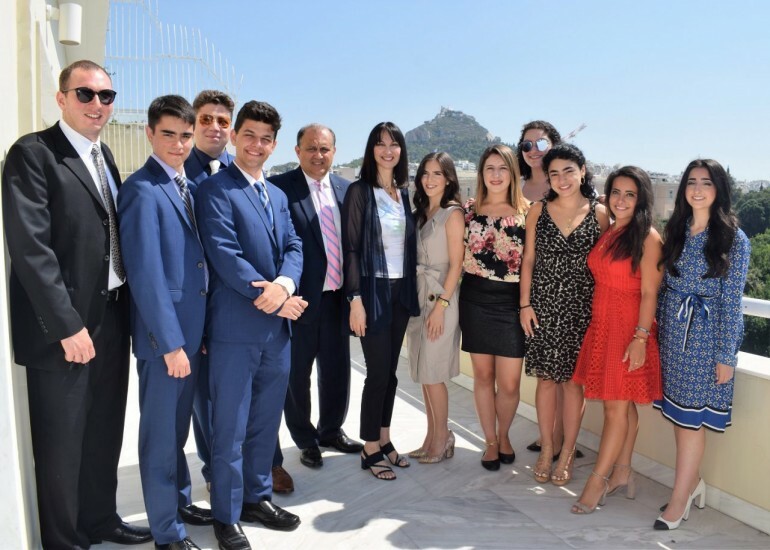 On June 19, the students assembled at AHI’s Hellenic House for a reception celebrating the 10th Anniversary of the AHIF Foreign Policy College program. Twenty alumni of the program were in attendance as well as AHI Board members, Nicholas Karambelas, and Dr. Athina Balta. Also in attendance were some of the many individuals that helped to make the student trip possible including: Alexios Mitsopoulos, deputy chief of Mission, Greek Embassy to the U.S.; Konstantinos Polykarpou, consul, Cypriot Embassy to the U.S.; Emanuel L. Rouvelas, partner, K&L Gates; Brian Kelleher, general manager, Capital Hilton; and Konstantinos Georgiadis, general manager, Amphitrion Holidays. On June 21, they had briefings from legislators and diplomats. In the morning, the students met with Diviya Sharma, Cyprus desk officer and Angela Gemza, Public Diplomacy desk officer for a briefing at the State Department. In the afternoon, they received briefings by Ambassador Patrick Theros, former U.S. Ambassador to Qatar, and Paul Glastris, editor, Washington Monthly. Next, they visited the U.S. Capitol for a tour and learned about the latest developments on Capitol Hill pertaining to Greek American issues. They were briefed by staffs of the Congressional Caucus on Hellenic Issues, Shayne Woods, legislative assistant, office of Congressman Gus Bilirakis (R-FL) and Christina Parisi, legislative director, office of Congresswoman Carolyn Maloney (D-NY). In the evening, they also received a private tour of the West Wing of the White House.